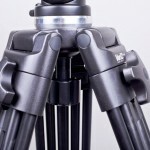 The VariZoom VZ-TK75A tripod and fluid head is a nice entry-level video tripod. Let me be up front though, this is not a pro-grade combo that’s going to compete with your Miller and Sachtler units, but for those enthusiasts out there dipping your toes into the video realm, this little package is an affordable and capable starting point. 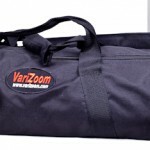 The VariZoom TK75A sports a 3-section design and is crafted from relatively lightweight aluminum. The leg locks work exceptionally well – with no slippage once you’ve locked them down. The top two sections of the legs are dual columns; however, the bottom section is a rather thin single column leg. As a result, the tripod is not the sturdiest when extended to its full height. 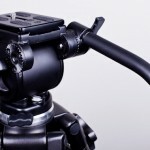 The TK75A includes a 65mm bowl, which mates with the included fluid head. The bowl design makes leveling the head a breeze. The head itself is surprisingly smooth for the price point. 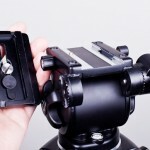 It’s much smoother than some of the entry-level Manfrotto heads (like the Manfrotto 128RC). As a result, if you are thinking about putting together an entry-level video kit, I would recommend going with this kit instead of some of the similarly-priced kits from Manfrotto. 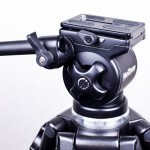 If you have a little more to spend though, you’ll get better performance out of the Manfrotto 503HDV or similar models. 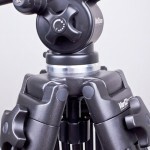 Another nice feature on a tripod as affordable as this is that the handle is telescoping, giving you quite a bit of handle reach for really fine tuning pan and tilt motions. Additionally, this kit comes with a durable padded case, which is another bonus for such a cheap kit. The final bonus that seals the deal is the quick release plate, which attaches snugly to the camera and locks down solidly to the head. 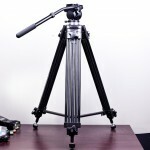 I’ve been using this tripod and head combo for several months now with my 5D Mark II and a number of other cameras. For the $190 price that I paid for it, I’ve got nothing but good things to say about it. (At the time of this review, it’s $170 at B&H Photo.) 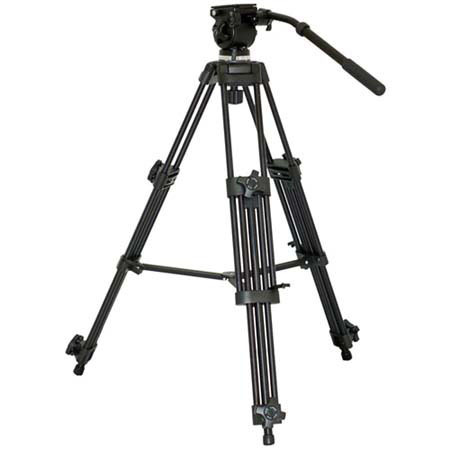 At this price, the Varizoom TK75A tripod and head combo is hard to beat.